So you want to create a Facebook Page, huh? Great! I’m here to make it possible. And not just possible – easy! Using the following information, you too will soon be the proud owner of a finely tuned, highly functional Facebook Page, which could help generate sales as soon as today. Pages are for businesses, organizations and brands to share their stories and connect with people. Like Timelines, you can customize Pages by adding apps, posting stories, hosting events and more. It’s a Facebook for your business, basically; the go-to spot for customers wanting up-to-the-second info about what you’ve got going on. And in today’s Internet-driven world, having a Facebook Page is crucial. So let’s get to creating it. Step 1: Open www.facebook.com/pages/create/ in a new tab or window. Step 2: Click on the Page category most appropriate for your business, company, organization, event, etc. Step 3: Choose the appropriate subcategory and enter your company’s name. For anyone wondering why Facebook categorizes Pages, categories make it easier for people to find your Page, and it tells visitors a bit about the Page before even reading through the Page’s info. An automobile and parts company named Milwaukee’s Best Parts definitely won’t be mistaken for a bakery in downtown Boston. Which actually brings up an important note: Don’t rush creating your Page! If your name for whatever reason happens to be Boston and you create a Page called “Boston’s Best Donuts,” but you aren’t located in Boston, you’re just going to confuse and frustrate people. Think about it for a bit before committing. Make your Page’s name relevant and succinct. So the Page is up, but it’s looking a little – what’s the word? – lacking. You need content. Info. Pictures. A banner. A logo. There’s so much to be done! 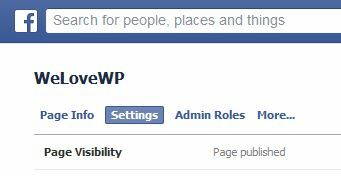 Changing Privacy Settings – On your Facebook Page, scroll down to the navigation bar located right below the banner. Click the “Update Page Info” button. Then click “Settings” at the top. This displays a list of fields controlling the Page’s visibility and privacy settings. Click “Edit” on the right to change a setting. 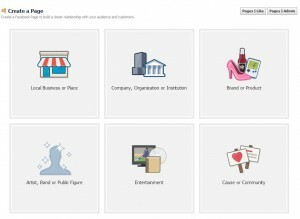 Adding a Logo – On your Facebook page, scroll down to the small square located in the bottom-left corner of the banner. Hovering your mouse over it brings up the “Edit Profile Picture” button. Click that. From there, click “Upload Photo,” if uploading a new photo, or “Choose From Photos” to use an already uploaded photo. Adding a Banner – On your Facebook page, scroll down to the large horizontal area located just above the “Update Page Info” button. Hovering your mouse over the large horizontal area brings up the “Change Cover” button. Click that. From there, click “Upload Photo” to upload a new photo, or “Choose From Photos” to use an already uploaded photo. Let’s get this out of the way: Do not beg your Facebook friends for Likes. It’s annoying. It’s obtrusive. And it’s a great way to drive away potential clients. If you don’t know what I’m trying to say, you might want to visit The Oatmeal’s hilarious article: “How to get more likes on Facebook“. Instead, starting posting informative content on your Facebook Page. Write about company updates. Link to your blog posts. Link to other people’s blog post. Find other Facebook Pages related to your field and comment on their updates or posts. To attract interest you need to be interesting. Think about your Page like it were at social gathering. You don’t want to be the guy screaming for attention, right? You want to join conversations that you can understand and contribute to in a meaningful way. That’s what earns attention and respect, which in turn earns customers. Lastly, be patient. A Facebook Page isn’t the golden ticket. It’s just another tool for interesting with and finding customers. Spend a little time each day posting info and people will come.